WASHINGTON (AP) _ Thousands of people have been fined since Virginia implemented a law setting penalties for driving too slowly in the left lane of a highway. WTOP-FM obtained data on the citations through a public records request. The station reports that from July 1, 2017, through April 3, more than 16,000 people were cited under various portions of the law. The law established a $100 fine for driving too slowly in the left lane, failing to stay to the right unless passing and other related violations. The bill’s sponsor, Del. Israel O’Quinn, said driving too slowly in the left lane endangers law enforcement and spurs road rage. 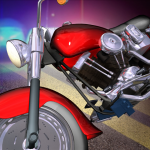 RICHMOND, Va. (AP) – Motorcycle-related deaths in Virginia sharply increased last year. The Richmond Times-Dispatch reports that motorcycle deaths climbed by nearly 50 percent in 2017 compared to the year before. There were 107 deaths in 2017. That’s the highest since 2007, when there were 126. The Virginia Department of Motor Vehicles said it’s looking into what may have caused the increase. Some motorcycle enthusiasts say the increased use of cell phones by distracted drivers is causing the increased crashes. CHARLOTTESVILLE, Va. (AP) — Twenty years of service in the Navy earned Clyde Cooper a GED, college degrees for children and grandchildren and health care. In the 40 years since he was discharged as a senior chief radioman, Cooper, 81, said the Department of Veterans Affairs has helped him handle progressive supranuclear palsy, a form of Parkinson’s, and knee replacements, but in recent weeks, he’s struggled to get adequate medical supplies for his ileostomy. “I cannot say enough how wonderful the VA has been, until I had this problem,” Cooper said. In an ileostomy, the large intestine is removed and the small intestine is diverted to an opening cut into the abdomen, called a stoma. Every other day, Cooper replaces a plastic pouch that is taped to his stoma and catches his digested food. For decades, the department has provided Cooper with ostomy bags, o-rings and strips needed to replace the bags and keep them clean and secure. He typically needs 40 bags each month. But in January, the department cut him down to 20, which is the standard number for patients on Medicare. With only a half supply, Cooper slowly began to run out. He tried supplementing the supply with Ziploc bags. He called the department, his doctor and the supplier, begging for more. Finally, he found himself with a full bag of feces and no more bags. Cooper’s husband, Michael Fitzgerald, tried to find ostomy bags at medical supply stores. One box of supplies containing a bag, rings and strips costs about $50; he had to purchase several. Since Cooper qualifies for Medicare and the department considers him 100 percent disabled, Cooper says he should not have to pay for any of his medical care. The next month, despite a trip to Richmond’s Hunter Holmes McGuire VA Medical Center to meet with his doctor and a technician, another half supply arrived. Cooper said his nurse practitioner, Gerald Montoya, wanted to give him more bags, but his request was blocked. Cooper said he is pleased with Montoya and with his department-provided wheelchair and scooter. A spokeswoman for the VA’s North Atlantic District said that the number of ostomy bags provided to veterans is determined by a veteran’s local facility, and if a veteran requires more, a physician should be able to request them. Montoya did not return requests for comment. 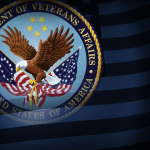 The department has been working on new programs to streamline how medical centers buy supplies for treating 7 million veterans. According to a November report from the Government Accountability Office, the department’s new procurement system was confusing, lacked clinical input and didn’t save any money. But the spokeswoman said that ongoing procurement battles should not affect Cooper’s issue. Plencner said most of her patients get by on the Medicare standard of 20 bags per month, but diet, weight and medical conditions could require more frequent use. Cooper’s house, with peach walls and rainbow-colored yard decorations, is full of photos of him and Fitzgerald. They met at a club and ran Charlottesville’s first openly gay bar, originally known as The Silver Fox, and then as Club 216, for 20 years. When they retired, the couple traveled the country and visited national parks. Cooper chuckled, remembering teetering up the steps of Mesa Verde National Park in Colorado. Without help from Fitzgerald and a neighbor, Loretta, Cooper fears he would have to move to a nursing home. For now, he confines himself to teaching his husband to cook and testing medical supplies. He ordered a range of ostomy bags from a supply company, Hollister, and found the bag he likes the best. If he can get the department to approve 30 or 40 7/8-inch bags each month, he’ll be set. A Virginia Tech professor says if the threatened trade war between the U.S. and China indeed occurs, Virginia’s agricultural economy will take a hit as a result. China is threatening to implement a 25% tariff on U.S. soybeans, which are far and away Virginia’s top agricultural export — and China is far and away the state’s biggest export destination. More from WFIR’s Evan Jones. CHARLOTTESVILLE, Va. (AP) _ A massive Confederate battle flag has been raised just off a major highway outside Charlottesville. 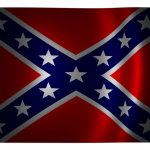 A group called The Virginia Flaggers said it raised the 30-by-50 foot (9-by-15 meter) flag Saturday on private property just off Interstate 64. The flagpole is 120 feet (37 meters) high. The group calls the flag the “Charlottesville I-64 Spirit of Defiance Memorial Battle Flag.” It says the flag is a response to the city of Charlottesville’s vote to remove statues of Confederate generals Robert E. Lee and Thomas “Stonewall” Jackson. The controversy over the statues helped draw protests that culminated in a white nationalist rally in August that turned deadly. The organization says it has raised more than two dozen Confederate flags since 2013. From the Virginia Lottery: It was a few days after the winning numbers were announced in Virginia’s New Year’s Millionaire Raffle, and Rick Manley was at the Speedy Mart at 514-B Blue Ridge Avenue in Bedford. He spotted a sign in the store proclaiming that one of the $1 million top prize tickets had been bought there. So he offered his congratulations to the store owner. “He said, ‘Was it you?’” Mr. Manley recalled. “I said, ‘I doubt it.’” However, he was wrong. When Mr. Manley went and checked the winning numbers, he discovered he did indeed have that winning ticket. He bought the ticket with his friend Mike Heflin, Jr. The two split the million-dollar prize equally. 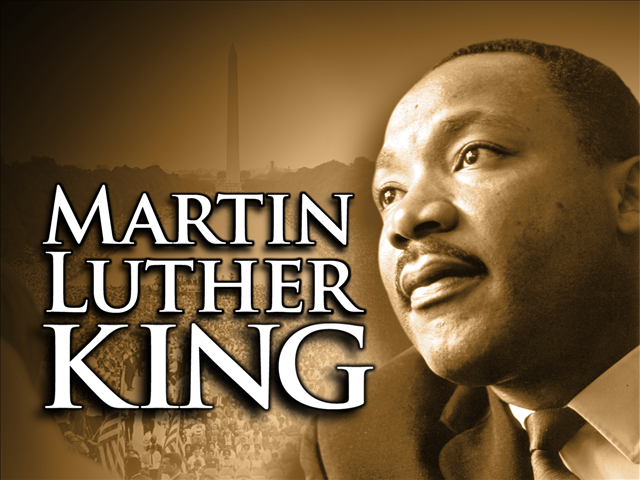 In addition, the store received a $10,000 bonus from the Virginia Lottery for selling the winning ticket. That winning ticket was #078410. It was one of three top prize winners in the January 1 drawing. The other two top prize winning tickets were bought in Stafford and Virginia Beach. Five additional tickets won $100,000 each. Those tickets were bought in Charlottesville, Leesburg, Ridgeway, South Hill and Virginia Beach. An additional 500 tickets each won $500. UPDATE: Tonight’s Mega Millions jackpot is getting even higher. The Virginia Lottery says the top prize has now increased to $521 million. 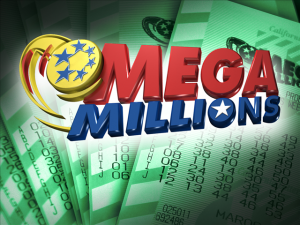 Mega Millions ticket sales today in Virginia are likely to top 1,500 a minute at peak times. PREVIOUS: The Friday Mega Millions jackpot prize now tops a half billion dollars — $502 million. The Virginia Lottery expects to be selling close to 1,500 tickets a minute during peak times Friday. 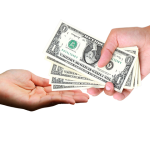 ALEXANDRIA, Va. (AP) – Seven people who pleaded guilty to a bribery scheme involving Virginia Department of Transportation officials and snowplow contractors say corruption is endemic to the agency. The Washington Post reported Thursday that the officials and contractors alike indicated that corruption extended beyond the scheme that put all seven behind bars for terms ranging from three months to seven years. 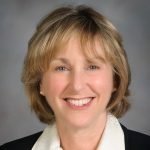 Even prosecutor Samantha Bateman said in court that corruption “is a more pervasive problem in the Virginia Department of Transportation than is known.” Agency spokeswoman Jennifer S. McCord said in a statement the department is conducting reviews and internal control to better safeguard procurement and contracting processes. Judge Leonie M. Brinkema has said the snowplow scheme, which also involved drugs, didn’t hurt taxpayers, but did undermine faith in the system. If you are heading north on I-81 into West Virginia for the Easter weekend, you should be aware of some major backups you may encounter — or attempt to avoid. VDOT says emergency bridge work is closing one northbound lane 24-hours a day in West Virginia about three miles north of the state line. Backups are likely to be miles long during daytime travel periods. The work is expected to last until the middle of next week. 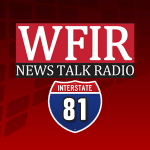 From VDOT: Motorists should expect significant traffic delays through the Easter holiday weekend on northbound Interstate 81 in Frederick County due to emergency bridge work in West Virginia. The right lane of I-81 northbound is expected to be closed 24 hours a day through Wednesday, April 4, about three miles north of the Virginia/West Virginia state line. As of 4 p.m. Thursday, traffic was backed up about four miles into Frederick County, Virginia. Related congestion is expected on Route 11 in the Winchester area for the duration of the bridge work.